arketmatrix Find more than 1000 Antique Clocks, WatchesBarometers. Antike Uhren Horlogerie ancienne Antieke klokken. The Horological Foundation publishes a sumptuous desk diary comprising more than 60 colour photographs on outstanding Antique Clocks, Watches, Barometers & Instruments. Go to Search this Site. Edit Find Names. FindMakers. Agenda Orders. Search horological Museums & Collections and historical Makers & Names. Jean Claude Sabrier & Sebastian Whitestone. Hans van den Ende , Ben Hordijk, Victor Kersing, Rob Memel. The Invention of the Pendulum Clock. Ahasuerus Fromanteel's 1649 'Cromwellian and Royal' Astronomical and Musical Sun-Clock. A Royal Haagse Klok' by Severijn Oosterwijck. The earliest Dutch and French pendulum clocks. 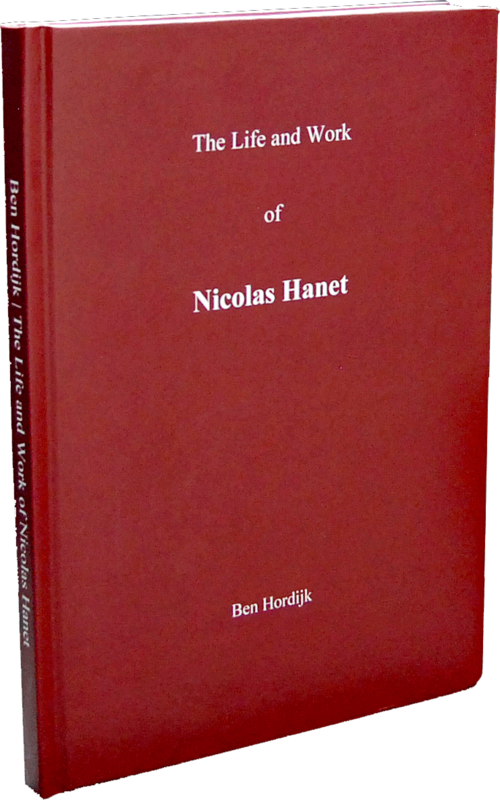 'The Coster Fromanteel Contract', its continued place in modern scholarship. Compilation of 'The Coster Fromanteel Contract'. Speculations on the historical backgrounds of 'The Coster Fromanteel Contract'. A Longitude Timekeeper by Isaac Thuret with the Balance Spring. Invented by Christiaan Huygens. A brief history of the Art of Enamelling. Part I. Report to the Federal High Council by Ed. Favre-Perret. Translated by Richard Watkins. A short history of the Dutch clock. 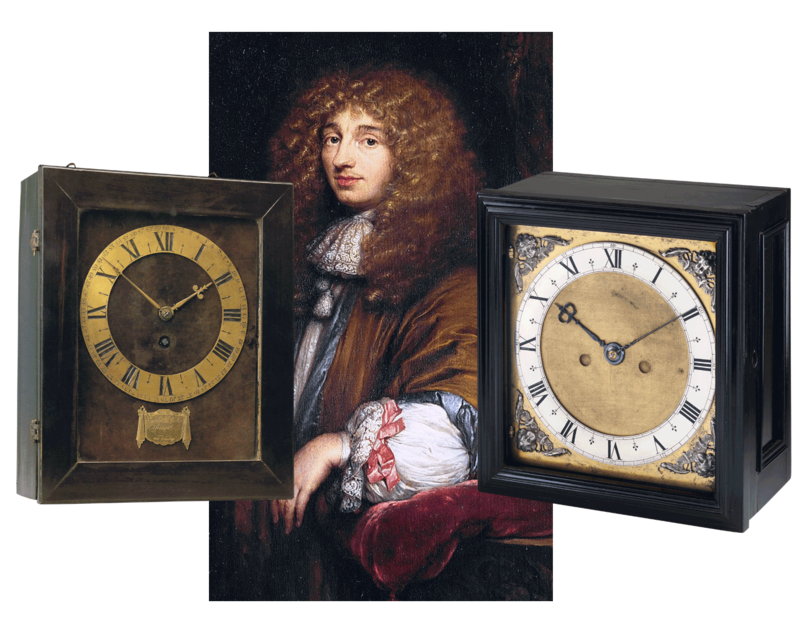 'Johann Hevelius' forgotten Pioneer of the Pendulum Clock. (Tijd voor klokken) A Dutch educational site on horological developments through the ages. A unique exhibition (2004) with 90 prestigious early pendulum clocks showing the road from invention to perfection. An introduction on the Japanese way of 'temporal hours' timekeeping. La Misura del Tempo * exhibition on the ancient splendour of Italian clockmaking from the 15th-18th century. Articles index of Horology Source. A brief history of the Art of Enamelling. Part II. Art in Antique horological tools. The decorative aspects of American horology. 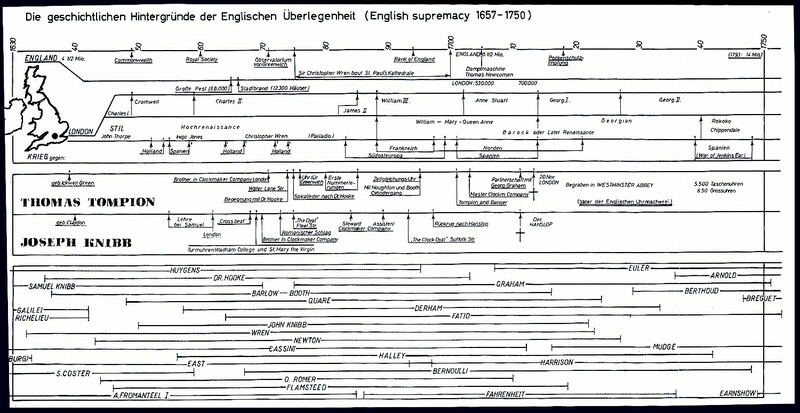 Diagram on English horology 1657-1750. Protection of Public Clocks Seminar report by Melgert Spaander. from Rees's 1819 universal dictionary. Pubblicazione dell'associazione Italiana cultori di orologeria antica. Dating painted dial grandfather clocks. English attack on the longitude problem. Longitude and the Acad¨¦mie Royale. Jerome Lalande, Translated by Richard Watkins. Matters connected with the Church Calendar, including the Popular Festivals, Saints' Days, and other Holidays, with illustrations of Christian Antiquities in general. Hora Est. Ontstaan, opbloei, neergang en nabloei van het stoelklokkenmakersambacht. The Coster Fromanteel Contract. The Van der Horst transcript working sheet. Time measurement, a brief history. About how Nautical Time is divided into seven watches. Liste des articles disponibles pour la revue "Horlogerie ancienne". Tompion no. 145, a true Dutch striking English clock. The Traveling clock or Carriage clock, and a the Coach clock. A brief compilation on French Comtoise clocks (Morbiers). Die Geschichte der Bergischen Uhr. Der Uhrenkopf von Johann Friedrich Bick. Zaans Clocks from the 17th and 18th Century. - Conversion Lantern Clocks and Richard Smith. - The First Clockmakers in Suffolk and the Earliest Known Suffolk Clock. - Oak Longcase Clocks with Brass Dials, plain or fancy. - A Lantern Clock in a Wooden Case with Corbels. - A Ten-inch Penny Moon Dial Longcase in Pine by William Northrop of Wakefield. - A New Clock by Samuel Ogden. - A Suffolk Lantern Clock by Richard Rayment of Bury St. Edmunds. - New clocks from old. - An interesting country clock. Black Marble. Tentoonstelling Zwart Marmer. Over de toepassing en ontginning van zwart marmer voor de vervaardiging van klokkenkasten. Open Monumentendag 2003. Official Sports Timekeepers in the Watch Industry. Jacques David. Reports to the Intercantonal Committee of Jura Industries on the manufacture of watches in the United States, 1877. Translated by Richard Watkins. by Joseph Flores, 1998 Gaïa Prize for History. By Emile Graupmann. Translated by Richard Watkins. A Dutch, early 18th century, Captains watch with Multiple Tide table. Signed: G.J. Nauta, Leuwaerden. Telling much more than time. french marine chronometry in four watches. by Francois Crespe, 1804. Revised Edition Translated and augmented by Richard Watkins. on mainly contemporary, watches. Compiled by the Purist.com. Some Seventeenth-Century French Painted Enamel Watchcases. By L. Borsendorff, Translated by Richard Watkins. About the new Elgin factory, 1869. By Eugene Buffat. Translated by Richard Watkins. Gruen, The Art & Mystery of watchmaking 1874-1958. The Saturday Magazine, London, 1842. (remontoire) A Practical Treatise on its Design and Repair by B. Hillmann. Translated by Richard Watkins. 'Petite Ronde', by Jean Claude Sabrier. About Pierre Le Roy's pocket watchesfor the use of astronomers and seamen. ThePuristS visit the the new manufactory Oct. 2003. The advertising saga of the watch industry. Geneva Enamels. Fr¨¨res Huaud (Huaut Huault), Jean Petitor, Jacques Bordier, Piere Preur, Jean Mussard, Jean Antoine, Jean Andr¨¦, Gabriel Fontaine, Andr¨¦ Dottner, Grmain Colladon. Culture de la haute horlogerie. * In History. -The Poldi Pezzoli Collection of clocks and watches. -Galileo’s Astrolabe, Museo Galileo in Florence. -Mantel clock by Jean Baptiste Dutertre at Staatliches Museum Schwerin. -Astronomical clock by Johann Sayller at the Landesmuseum Wurttemberg. -Breguet et Fils Pocket Watch, Casa-Museu Medeiros e Almeida. -The ancient art of time measurement : French Glass dial mystery mantle clock, Museo Cerralbo Madrid. -The ancient art of time measurement: Georg Bayr watch at the Schmuck und Uhrenmuseum Pforzheim. -A Genevan heritage, cherished by Chopard. -Geneva exhibits its horological treasures. -Decimal time: the revolution that never was. The wearing of pocket watches. The sympiesometer designed by Alexander Adie: an unusually short 'barometer' without mercury. Brief history of the Barometer. Hendrik Prins, de koning van de Nederlandse barometerkunst. Spheres the art of celestial mechanic. The Material Culture of Astronomy in daily life. Sundials, science and social change. Clock and Watch escapement mechanics. "Some Material for a R¨¦sum¨¦ of Remontoires" Installment of February, 1878. The results of research into the history of English Clock Systems Ltd, its predecessor Synchro Time Systems Ltd, and their products. Neueste Erkenntnisse ¨¹ber den Bergischen Uhrmacher Johann Peter Peddinghaus senior. From Schweizer Pioniere der Wirtschaft undTechnik, 1662 #13. Translated by Richard Watkins. The Brocots, a dynasty of horologers. By C.E.L. Camus. 1750. Reproduced by Richard Watkins. Many portraits of historical horologists. Geschiedenis van de Uurwerkmakerskunst In Friesland. Jacob Herbstreith 1763 - 1845. Leben und Werke des Uhrenmachers aus Eisenbach im Schwarzwald. Jockele Uhren. Uhrmacher, Uhren und Schreiner im Grenzraum Bergisches Land - Grafschaft Mark zwischen 1760 und 1840. Nuzzi, una famiglia di orologiai in Rincine. A comparison of the lives and work of THOMAS TOMPION and JOSEPH KNIBB. The Jaquet Droz: Visionaries and Trend-Setters. Louis Cottier, a watchmaking genius ahead of his time. Search Horological Glossaries, Dictionairies and Lexicons. The Illustrated Professional Dictionary of Horology. 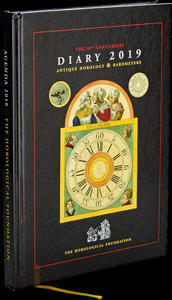 Clocks And Watches Encyclopedia Of Antiques.